Sally Nugent is best known for being a journalist. Sally Nugent is an English journalist who works for BBC News. 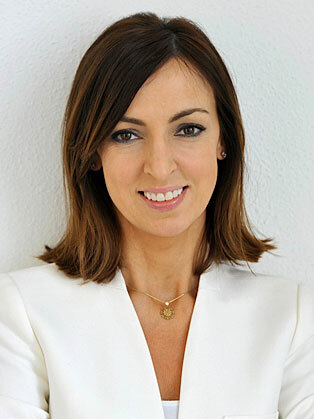 Sally Nugent is a broadcaster and journalist with 20 years experience in news and sport. Since 2012 Sally has been working as a presenter on BBC Breakfast ­ the nations favourite morning television programme. During that time she has covered the London Olympics, Champions League finals and Wimbledon from the All England Tennis club. Sally is equally at home in the studio or out on location at the heart of a breaking news story. She began her career in BBC Radio Merseyside and BBC North West before joining BBC Network news in 2002. Career landmarks include interviews with Tom Cruise, Pharrell Williams, and David Beckhams resignation interview as England captain. This summer she will be covering the European Football Championships from Paris and bringing the latest overnight developments from the Rio Olympics in a special BBC programme from Media City. An engaging corporate host with wide ranging interests and experience.